Cannabis is here to stay, make no mistake, despite the rumblings in Washington DC as a new herd of sheep enters the stocks. Activists won’t allow the new regime to destroy the progress made in the last two decades. It is time to get fired up. It is time to get vocal. On Saturday, April 22nd, 2017, there will be a public display of civil unrest on the steps of the Washington State Capitol, to protest the recent Trump Administration focus on reigning in legal cannabis. 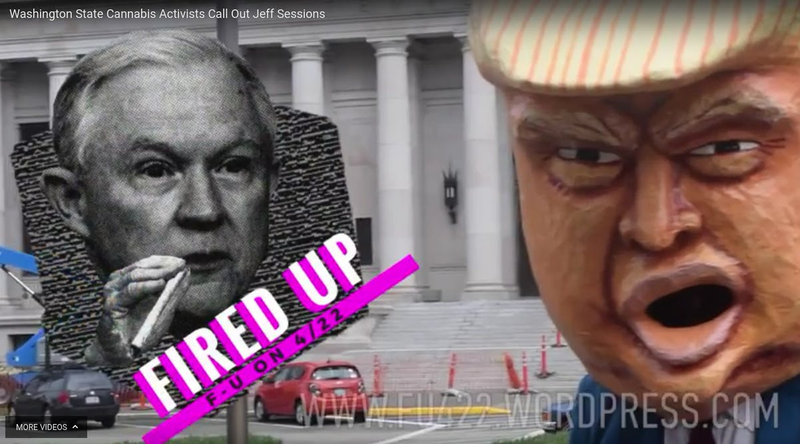 Get ready to tell Trump and Sessions F-U on 4/22. The survival of everything the cannabis community has accomplished over the past 20 years faces a new enemy. 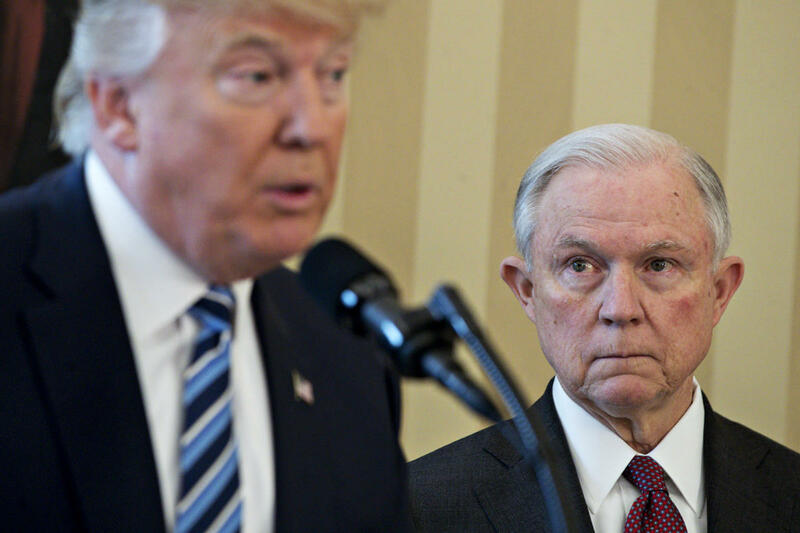 Trump and his newly appointed US Attorney General Jeff Sessions are deliberating with enforcement agencies even now to prepare an assault on the hard-won freedoms of cannabis patients and enthusiasts. The 45th President and his administration are only serving to unite the cannabis community against a common enemy. Organizers, found it appalling that in a time while over overwhelming evidence that cannabis is not only becoming more accepted, we’re also finding out that it can be an incredibly healthy supplement for daily intake, the newest administration has turned the clock back on the dialogue surrounding cannabis today. As more states begin to legalize and regulate, a federal government intervention wouldn’t just be catastrophic for the consumer, it would destroy the market, industry and jobs all created during a time of economic instability. While all of us may vary on our opinion of i502, we agree that for the foreseeable future we must focus on the baby steps needed in order to forward nationwide legalization and descheduling. Jeff Sessions, a long-time prohibitionist, publicly thinks cannabis is only slightly safer than heroin. Worse, he previously supported the death penalty for cannabis dealers. I reject the idea that America will be a better place if marijuana is sold in every corner store. And I am astonished to hear people suggest that we can solve our heroin crisis by legalizing marijuana – so people can trade one life-wrecking dependency for another that’s only slightly less awful. Aaron Cain, Activist, and Filmmaker envisioned the event. He wants residents to stand up at Washington’s state capitol to protest the reefer madness at the federal one. Fired up is a rally to demonstrate that 45s administration will not intimidate us, but in fact will bring us together, fighting harder than ever. Patients across the country depend on cannabis to lead a normal life. Let’s show 45 and his administration that our rights are not for sale. The federal government continues to ignore science, the medical community and most of all, the will of the people it supposedly represents. In Washington state, residents are in a position to send a clear message to the other Washington… “Respect our State’s Rights”. Check out the Facebook page to keep up to date.